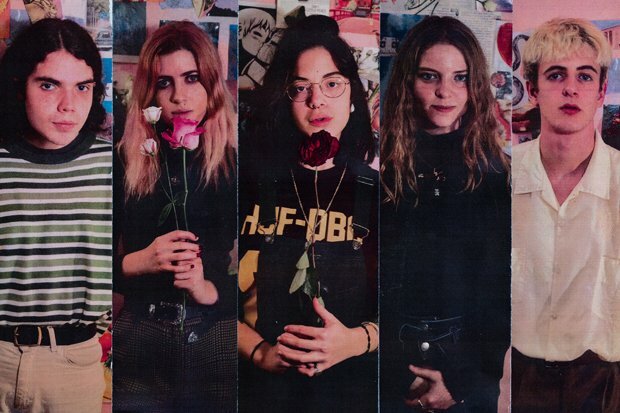 Having met in 2013 through Reading Rock Academy, a School of Rock-type charity music programme, Valeras are a band who have grown immensely in both sound and experience in their relatively short time together. Formerly known as Area 52, the Reading five-piece have had a storming year following the release of their debut EP Knives & Flowers and subsequent singles 'Louder', 'Painkiller' and 'Intentions'. The band's latest single 'Intentions' is a heady mix of audacious guitar riffs, powerful vocals and melodies that latch on without giving way, which Rose believes is down to their overall progression since the EP release. As the main songwriters in the band, Rose and George Parnell (lead guitar) aren't inspired by solely one genre, which certainly shows in elements of Valeras's music, whether it be a Latin-influenced guitar line or vocals with a more typically pop structure. The band's upcoming tour will temporarily take them out of the studio and right across the UK and Ireland, to places they've never been including Edinburgh and Glasgow. Beyond the tour, Valeras certainly have exciting plans for 2019 which will no doubt elevate them further in the UK music scene. Valeras, Broadcast, Glasgow, Sat 23 Feb; Sneaky Pete's, Edinburgh, Sun 24 Feb.